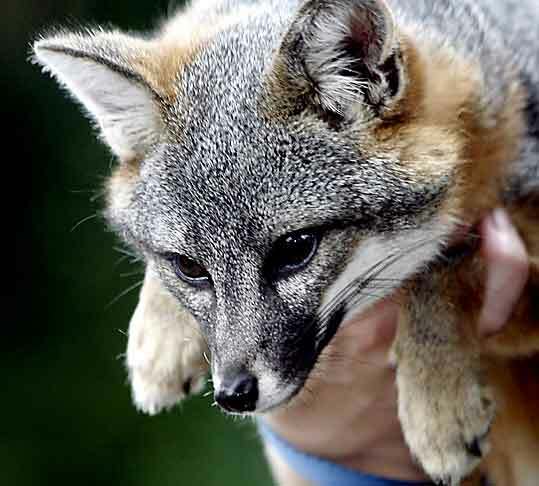 Many plants and animals across the country are facing challenges to their survival, but few endangered species have as many everyday heroes as the Channel Island fox. Some heroes are the biologists and technicians that work in the field across the six Channel Islands. 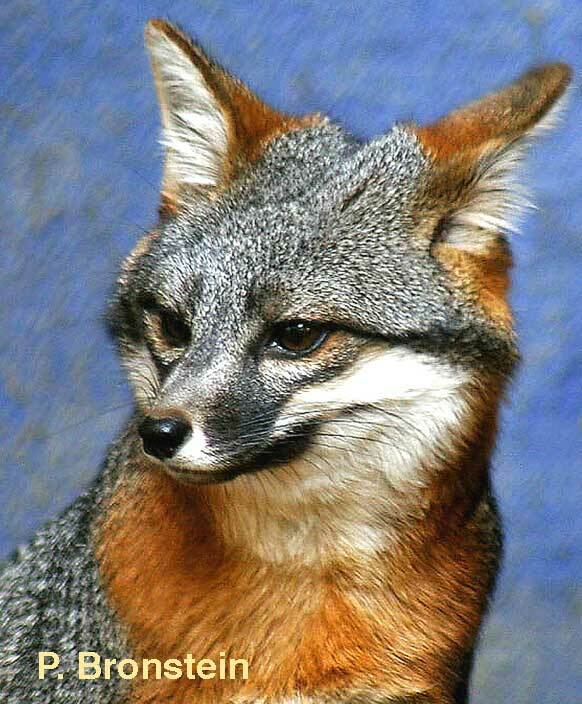 They count the island foxes in the wild, provide health checks and are the first line of defense protecting island foxes. Fox Biologists. Some heroes are school children like Hannah H. and her third grade class from Montecito Union Elementary School. 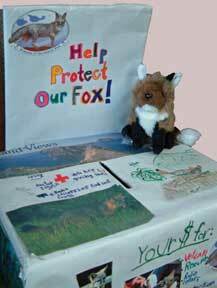 Hannah told her school mates about the endangered island fox and made a Fox Box to collect donations. 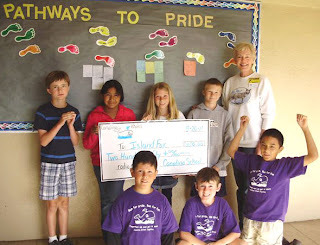 The students from Montecito Union raised enough funds to provide a radio tracking collar for a wild island fox. Radio collars provide the second line of defense for this endangered species. (More About Radio Collars) The goal across the islands is to annually have 60-70 individual foxes on each island wearing radio collars. 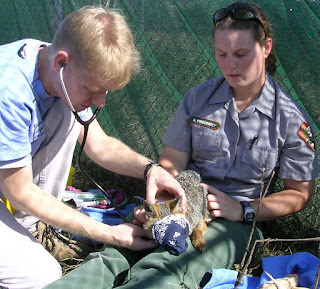 Vaccinations for distemper and rabies are also vital to protecting endangered island foxes. 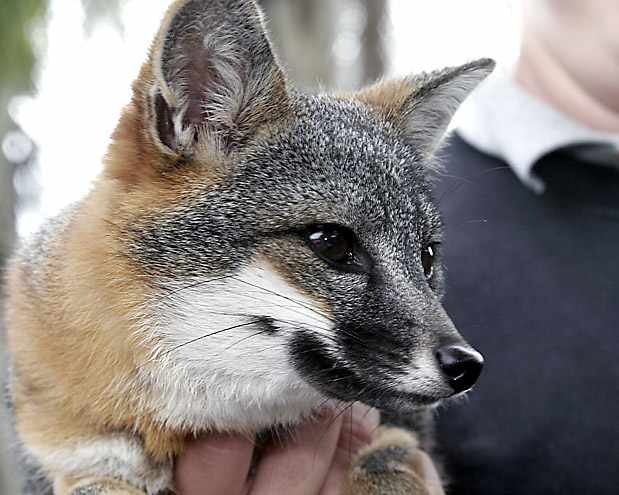 When Friends of the Island Fox gave presentations to the second- and third-grade students at Poinsettia Elementary School, student Shawn D. realized he could make a positive difference for this local animal. 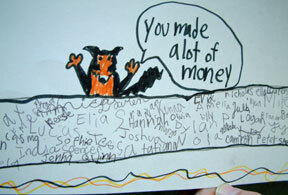 Shawn saved up his allowance to vaccinate an island fox. 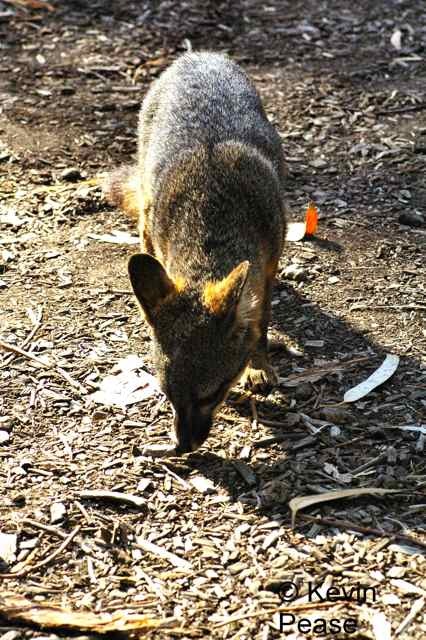 Vaccinations for island foxes. Students at Canalino Elementary School developed their own plan to fund an island fox radio collar. 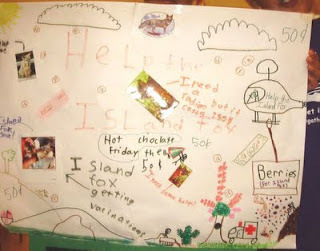 Island Fox Ambassador School. Local restaurant Native Foods Cafe donated a percentage of a day’s sales. 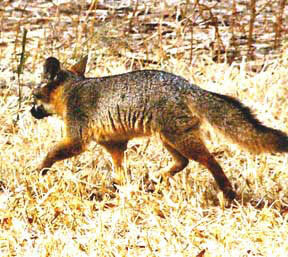 Island fox pairs are coming together across the islands. Follow Tani, the young female island fox, on twitter or facebook as she settles into her own territory and finds a mate. 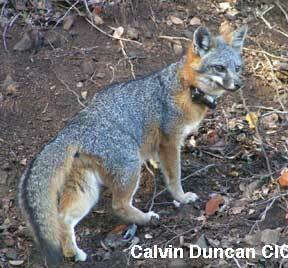 Every year biologists count island foxes across the California Channel Islands in the late summer and early fall. Island foxes are captured in safe traps so they can be given health checks, fitted with radio collars and given vaccinations. When the biologist from the six different islands meet for the annual Island Fox Conference in June, they share their official population numbers and discuss the successes and challenges from each island. 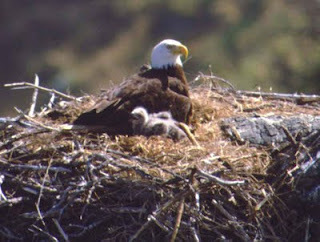 Stay tuned for updates on 2011 population numbers as they come in from the autumn field counts. Across the Channel Islands endangered island foxes are successfully making a come back from the brink of extinction. You and your friends and neighbors are helping to make a positive difference. Friends of the Island Fox extends our thanks to the following special friends that have made extra efforts on behalf of endangered island foxes. 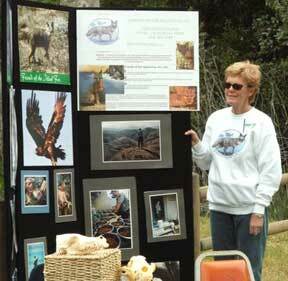 This summer Native Foods Cafe raised funds for the island fox during a day of business. 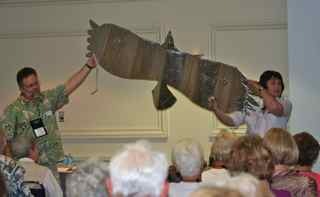 Their event raised $500 for island fox conservation. In May, Island Fox Program Director Pat Meyer and Keri Dearborn, Education Director, were interviewed on Cynthia Fox's Sunday morning show "Spotlight on the Community" on KLOS Radio. Listen to the Interview. Cynthia Fox continued her support by sponsoring a fox radio-tracking collar. This summer private donors supported another radio-tracking collar to bring our total number of collars funded to 72! 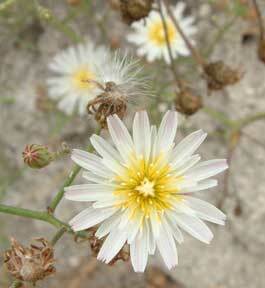 Because of your support and concern this local endangered species is recovering. Your involvement on behalf of the island fox is allowing images like the one below to be natural once again. Watch as an island fox ventures into a bald eagle nest at night looking for tidbits of food that the bald eagle chick has dropped. This is a brave little island fox, notice the bald eagle chick (bigger than the island fox) sleeping in the lower right corner. Island foxes across the Channel Islands thank all of you who care and are taking action to support health checks and vaccinations, radio collars and education to make a positive difference on their behalf. 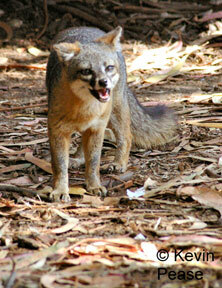 Tani represents all of the juvenile island foxes that were born this spring (A special Island fox is Born). 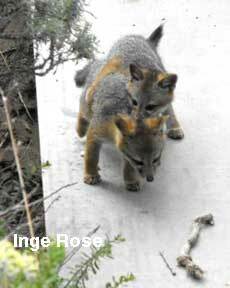 As summer turns to autumn these young island foxes will venture off from their parents to begin their own lives. But before they do, they just might have a close encounter of the human kind. Across the California Channel Islands biologists are catching island foxes in capture cages to count their numbers, replace and outfit radio tracking collars, and conduct annual health checks. For young island foxes that means a microchip that will identify them for life. It may also mean vaccinations for canine diseases - rabies and distemper. Both of these diseases have a high mortality rate, meaning that most wild island foxes would die if they encountered them. 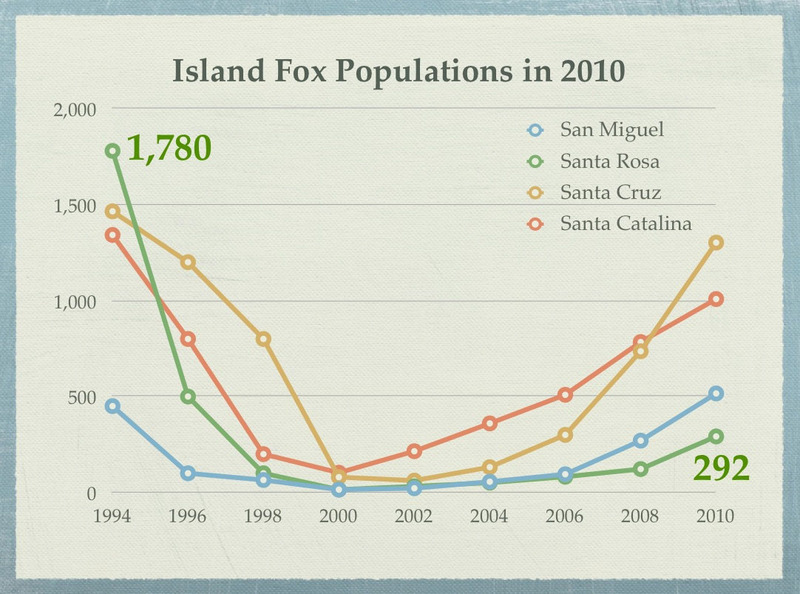 We know this is true because the Santa Catalina Island population of island foxes declined by over 88% between 1998 and 2000 when distemper was introduced to the island. 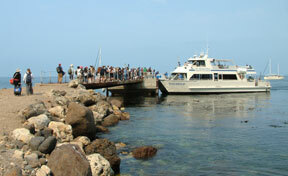 (More about Catalina Island). 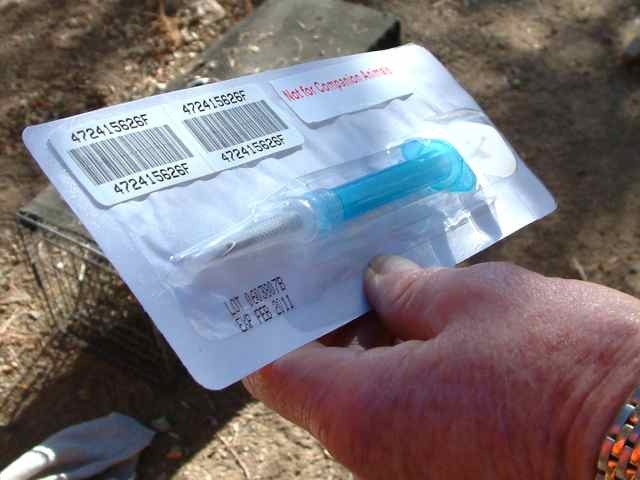 Pet dogs and cats that have not been vaccinated can introduce disease to wild populations. Island species like the island fox are especially vulnerable because they have not evolved with the same diseases that animals may be exposed to on the mainland. 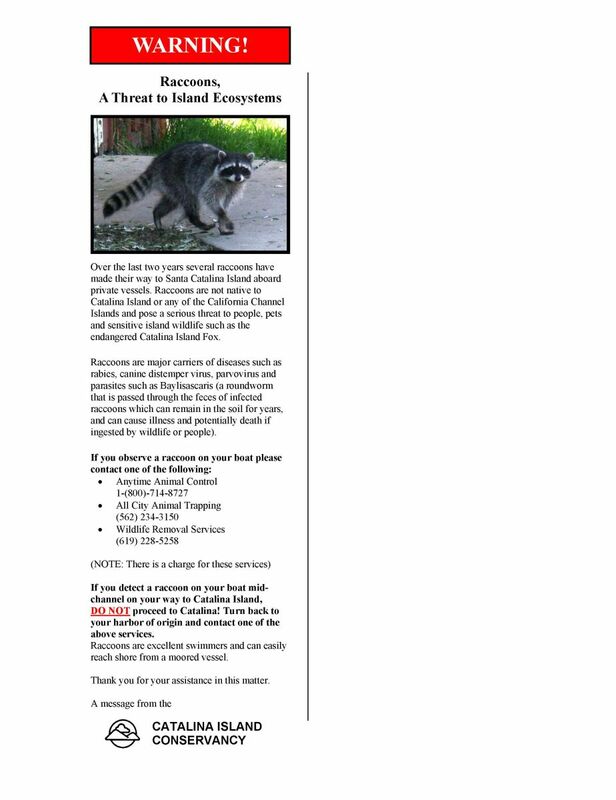 Wild animals from the mainland can also introduce disease to island populations (see Raccoon on Catalina). The land managers across the islands hope to vaccinate at least 60-80 island foxes on each island this autumn. 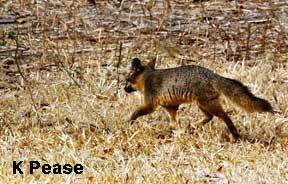 The minimum (60 foxes on 6 islands) would be a total of 360 island foxes with a cost of $10 per fox. 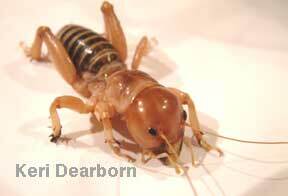 Just providing minimal disease protection to this endangered species comes with a minimum cost of $3,600. You can help provide a young island fox heading out into the world with a better chance of survival by supporting vaccination costs. 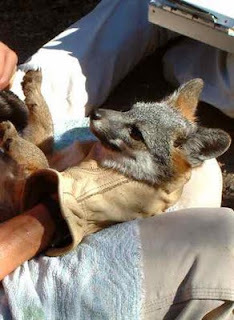 A donation of $10 will protect an island fox from rabies and distemper. You can also make a positive difference by reminding friends and family that vaccinating pet dogs and cats helps protect wild animals. Disease has no sympathy, it can attack an endangered species or a beloved pet. 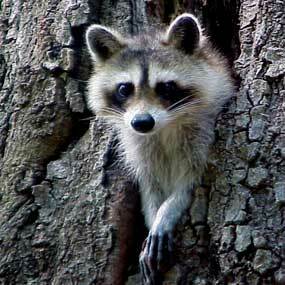 To keep both safe, pets should stay home and leave wild animals to live in their native habitats. See more of Tani's adventures on Facebook and @ifoxtweet on Twitter. 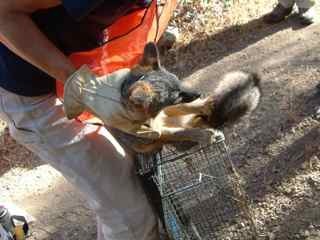 Across the Channel Islands biologists are setting special enclosure traps to catch island foxes. 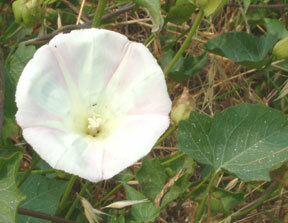 Each year at the end of summer traps are set-up along specific trails or grids and left open over night. 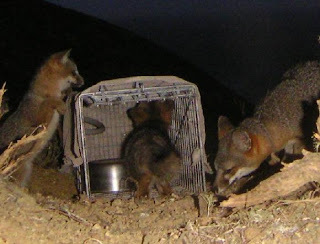 In the evening hours curious or hungry island foxes find their way into the wire mesh traps. 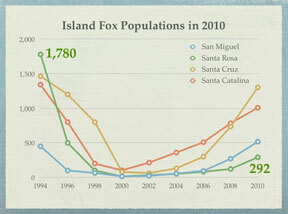 This is how island foxes are counted on each of the Channel Islands. Late summer or early fall is the best season to capture the small foxes because it is late enough in the season that fox pups are no longer nursing and early enough that adult island foxes are not yet preparing to breed for the next batch of offspring. Before sunrise field biologists head out to check each trap. 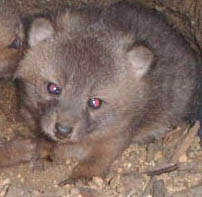 Frequently if an island fox pup is caught in the cage, biologists report that the parents may be close by, keeping an eye on their youngster. 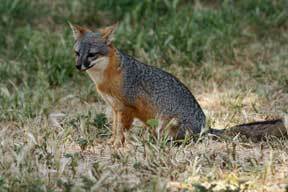 And often island fox parents will leave food, like a dead mouse or two, in front of the cage. This behavior is call "provisioning." Even though the island fox pup is caught in the capture cage, the parents will continue to try and take care of it. 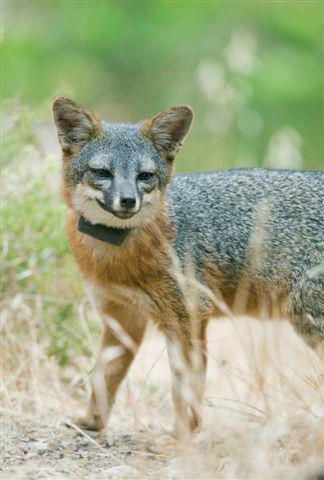 For MORE on an island fox's annual Health Check, LISTEN to biologist Julie King from the Catalina Island Conservancy as she does a health check on an island fox in the wild. Follow us on @ifoxtweet on Twitter as an island fox pup grows up.